The Information vs. Memory workshop aims to promote the coexistence of humanities, science and technology in a performative context. 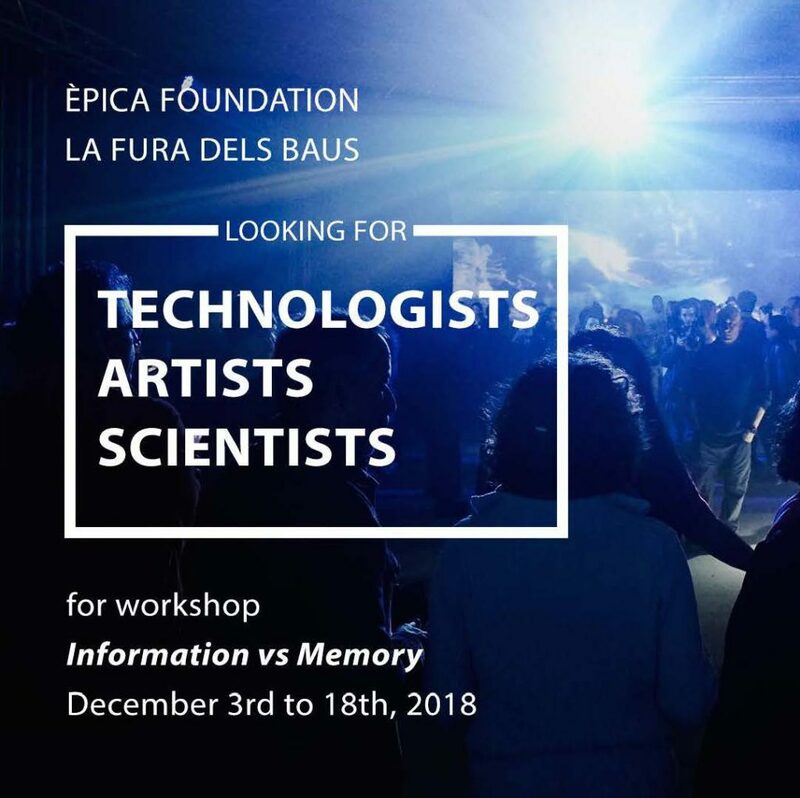 Based on previous research carried out by various entities invited by the Èpica Foundation and specialized in different disciplines (neuroscience, biology, gastronomy, supercomputing, active aging…), workshop participants will develop a polivocal work that will culminate in a final performance before an audience. Professional, semi-professional and interested persons over 18 years of age and coming from any discipline (actors, performing arts technicians, plastic artists, scientists, technologists, mechanics, researchers in any field…) will be able to access the course. The objective is to work with a heterogeneous group in order to favor the exchange of knowledge and experiences essential for the workshop. A total of 20 participants will be selected from among the candidates who apply. The selection will be made according to curriculum, and both academic and professional experience will be taken into account. To apply for the course, those interested should send their cv to info@epicalab.com under the subject “Information Workshop” before October 29th, 2018. Find more information about the workshop on Èpica Foundation website. ← Going ‘Round city. Contact-zone di Vanessa Vozzo e Laura Romano. Urban Media Art. Non solo videomapping. Dalla New Media Façade alla Connecting city art Project alla Projected AR Art.